Felipe Hernández is an Architect and lecturer in architectural design, history and theory at the University of Cambridge. He has an MA in Architecture and Critical Theory and received his PhD from the University of Nottingham. He taught previously in the School of Architecture at the University of Liverpool, and has also taught at the Bartlett School of Architecture (UCL), the Universities of Nottingham, East London and Nottingham Trent. Felipe Hernández has published extensively on contemporary Latin American cities, focusing on the multiplicity of architectural practices that operate simultaneously in the constant re-shaping of the continent’s cities. He is the author of Beyond Modernist Masters: Contemporary Architecture in Latin America (Birkhäuser 2009) and Bhabha for Architects (Routledge 2009) and co-editor of Transculturation: Cities, Space and Architecture in Latin America (Rodopi 2005). Peter Kellett is senior lecturer in the School of Architecture, Planning and Landscape at the University of Newcastle upon Tyne. He is a qualified architect with an M.A. in Social Anthropology and has worked and researched in Latin America for many years. 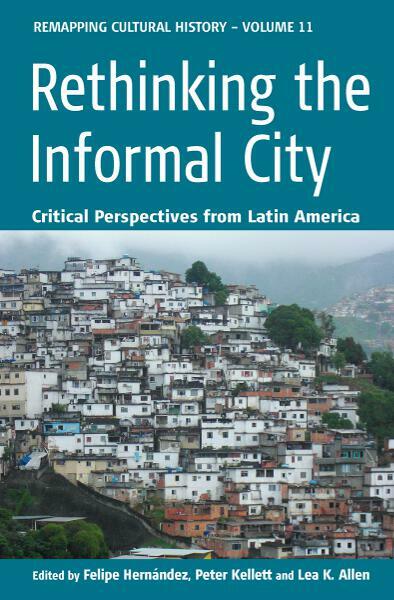 His Ph.D. is an ethnographic study of informal housing processes in northern Colombia, and his research continues to focus largely on housing, particularly on understanding how disadvantaged households create, use and value dwelling environments in cities in the developing world. He has lectured and published widely, and in addition to his work in Latin America he has worked on large comparative research projects in Asia and Africa, as well as in the U.K.
Lea Knudsen Allen received her Ph.D. from the Department of English Literatures and Cultures at Brown University. She has worked extensively on issues to do with postcolonial discourse, transmigration and cultural representation. Her doctoral thesis, entitled "Cosmopolite Subjectivities and the Mediterranean in Early Modern England," explored these topics in the context of early modern English drama, poetry and travel literature. She has published on exoticism and international trade in the work of Jonson and Marlowe. Additionally, Dr. Allen has an interest in representations of urban and social space, a topic on which she has also published. Currently, she lives in the United Kingdom and teaches for the Universities of Maine (USA) and supervises students for Sidney Sussex College in Cambridge.